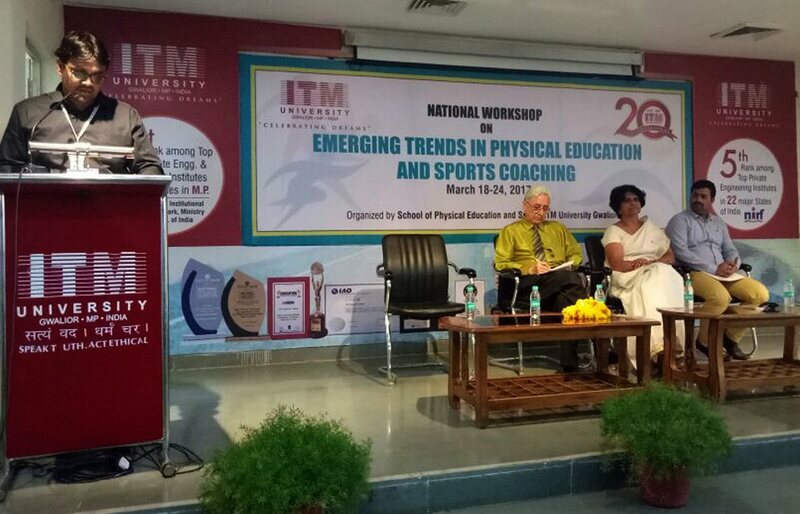 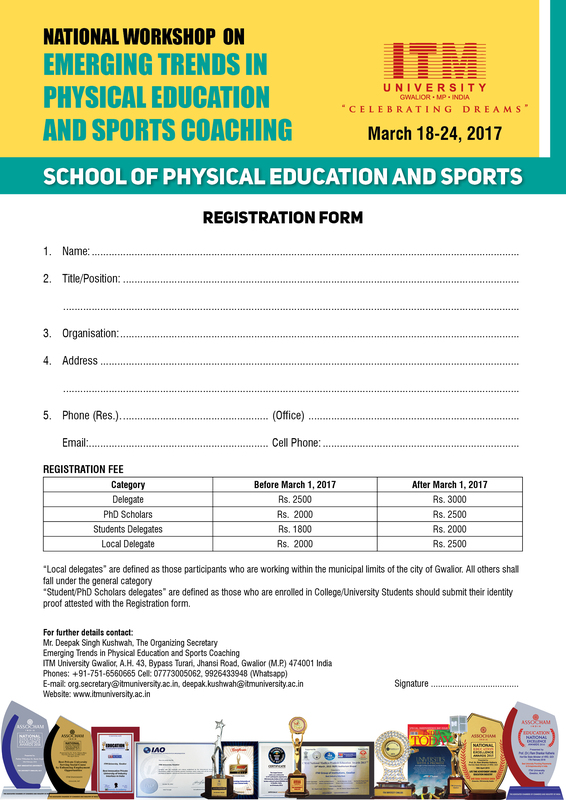 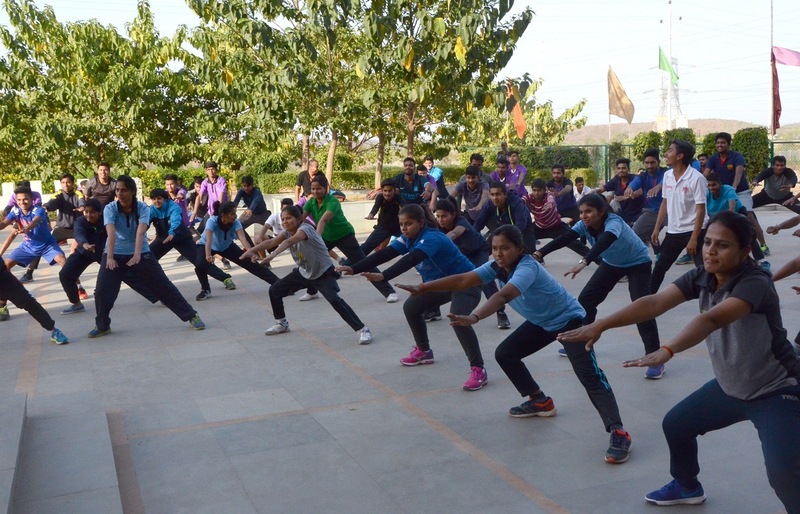 A 7-day national workshop on Emerging Trends in Physical Education and Sports Coaching is being organized at the ITM-University School of Physical Education and Sports,Turari ,Gwalior. 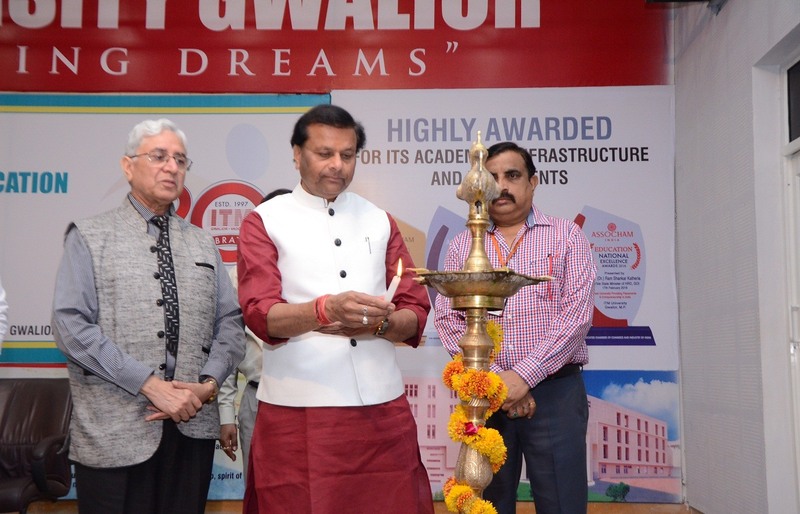 The inaugural ceremony took place on 18th March and was graced by the auspicious presence of Honourable Minister for Education, Govt. 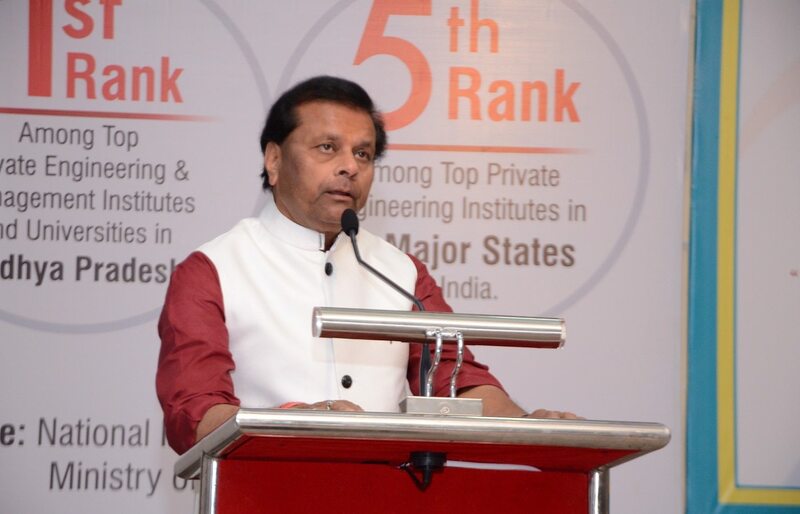 of Madhya Pradesh, Mr. Jaibhan Singh Pawaiya. 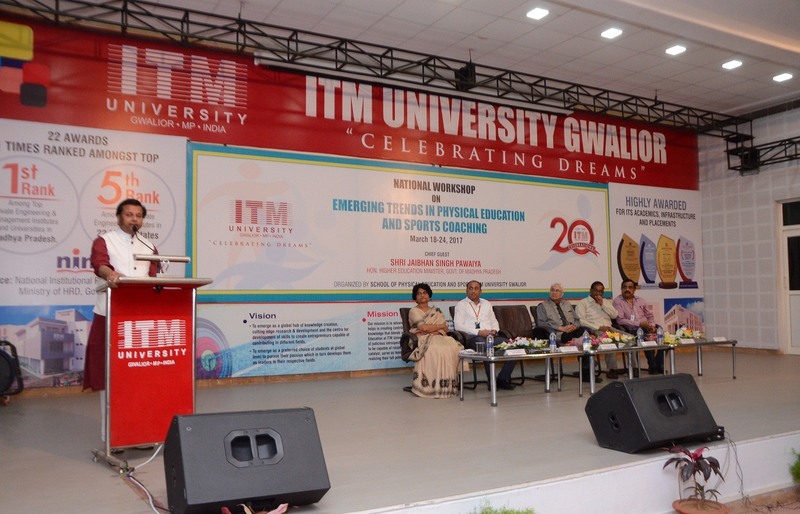 In his address to the audience , the chief guest highlighted that true education imparts politeness, and confidence is an essential key to achieve success in life. 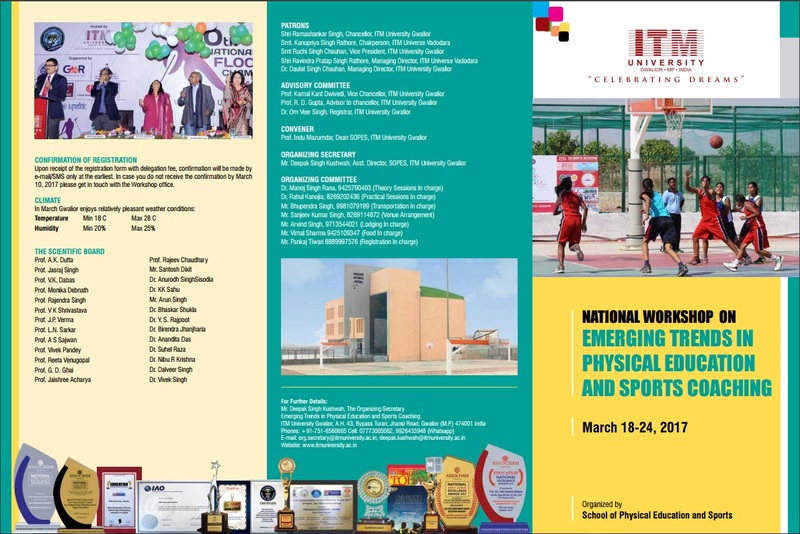 The workshop will continue from March 18 to March 24 which will comprise of expert lectures and and practical sessions. 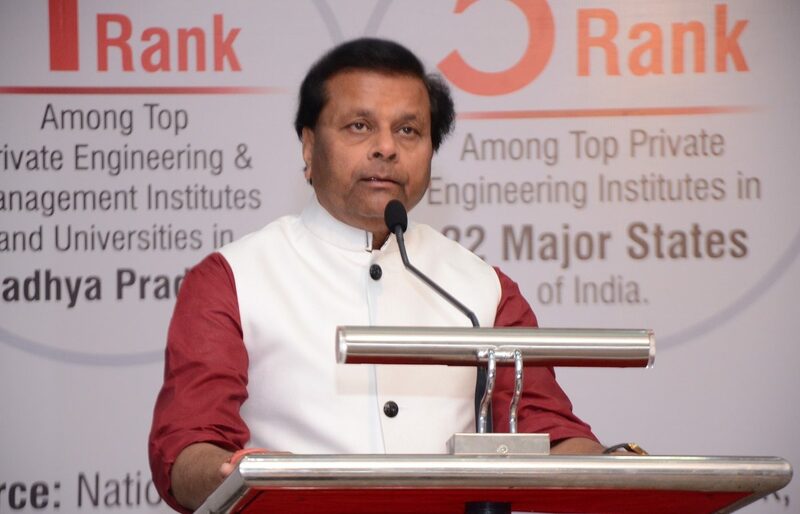 The above statement was uttered by Dr. L.N. 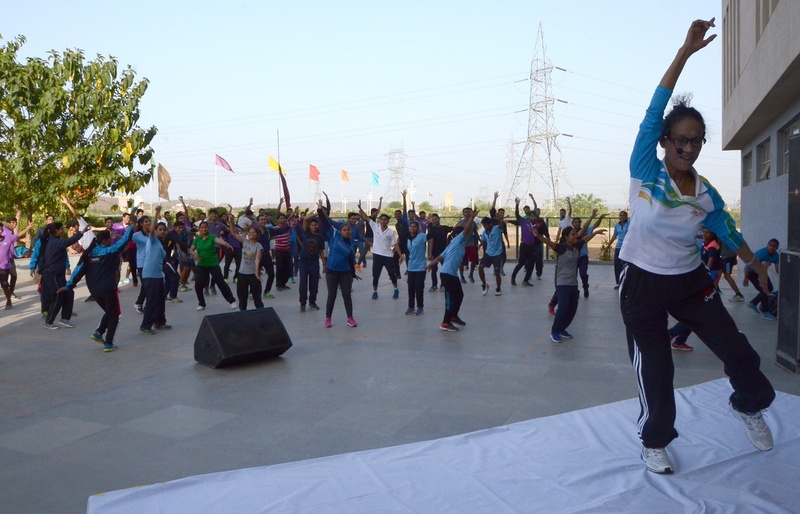 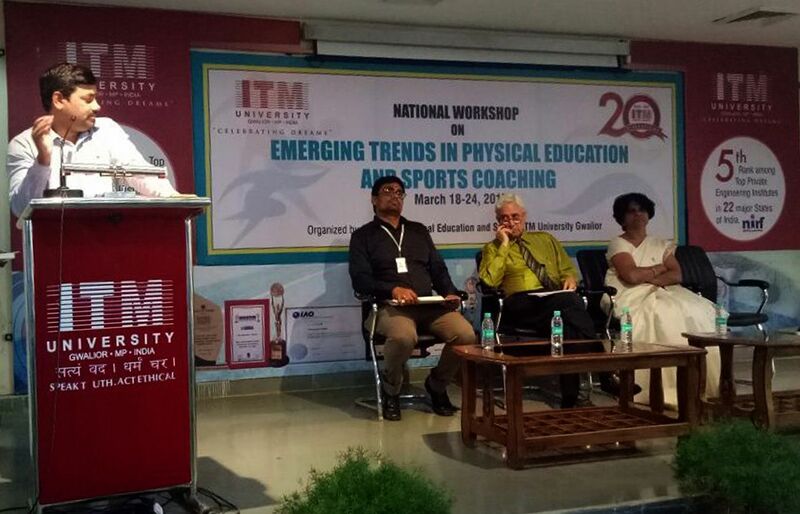 Sarkar, Senior Professor in Laxmibai National Institute of Physical Education, during the Sports Workshop which is going on at ITM School of Health and Physical Education,Turari (March18—March 24). 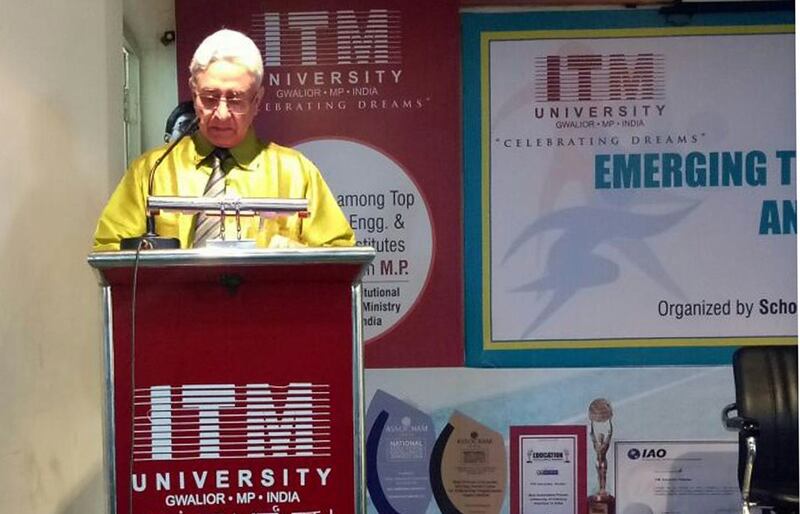 The topic of his oration was “Food and Nutrition”. 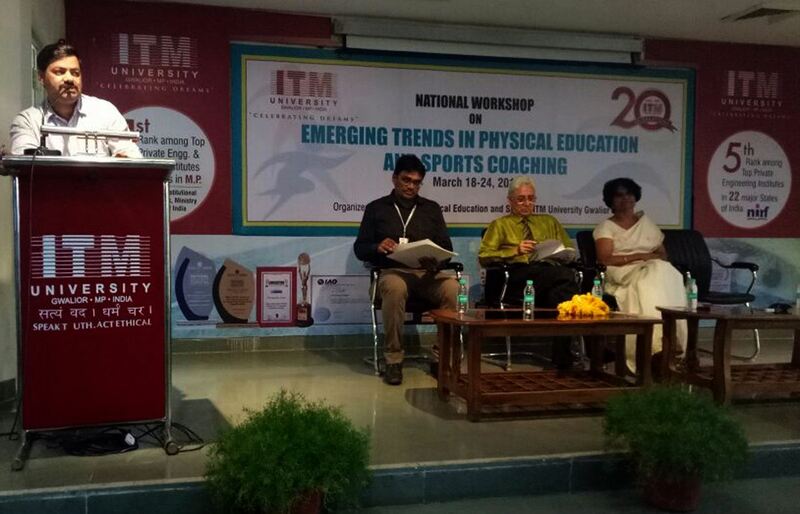 The other expert was Prof. G.D. Ghai from LNIPE. 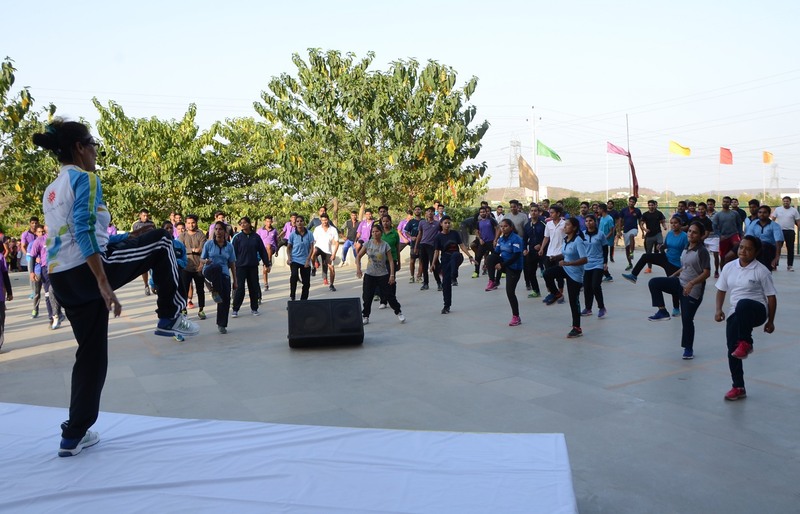 He spoke on the code of sports ethics and emphasized on the fact that aggression should be visible in the game and not in the interpersonal behavior of the sportspersons. 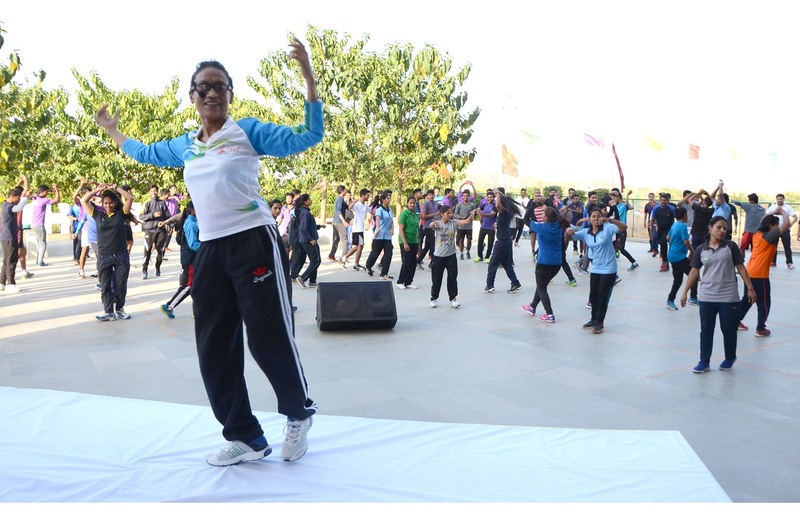 Prof. Manika Debnath from Delhi conducted a session on Aerobics and pointed out the importance of aerobics in strengthening the muscles.